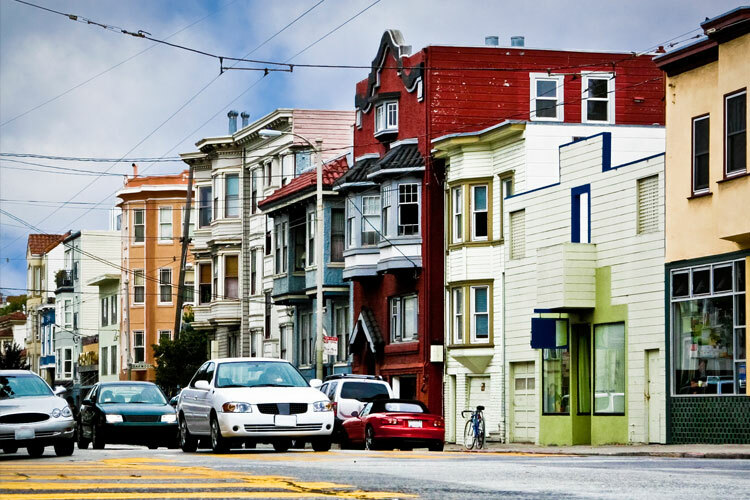 Business property owners must file a property statement (Form 571-L) each year detailing the acquisition cost of all supplies, equipment, fixtures, and improvements owned at each location within the City and County of San Francisco. All lessors are required to report equipment out on lease in the City & County of San Francisco, regardless of any assigned tax responsibilities. All leased equipment including leases to public utilities, leases to public schools and free museums, and leases to other educational or charitable institutions must be reported. If you have not filed a Form 571-L in past years because you were on Direct Billing (assessed based on existing information in our files), you will receive a notice to file Form 571-L this year because State Law requires a periodic update of Direct Bill accounts. Please file a Form 571-L to reaffirm your business’ assessed value has stayed the same, or to reflect changes that have taken place resulting in increases or decreases in value of your business property. To file your Form 571-L, please visit our Business Property Statement E-file page. For more information on how to download and print hard copies of the Form 571-L Business Property Statement, please go to the Manual User's Guide. Please note that the Assessor-Recorder's Office no longer mails the Form 571-L Business Property Statement. If you have any questions, please contact us at (415) 554-5531 or askbpp@sfgov.org. To file your Form 571-R, please visit our 571-R Business Apartment Statement page. For more information on how to download and print hard copies of the Form 571-R Business Property Statement, please go to the Manual User's Guide. Please note that the Assessor-Recorder's Office no longer mails the Form 571-R Business Property Statement. If you have any questions, please contact us at (415) 554-5531 or askbpp@sfgov.org. If you are a lessor, our office prefers to collect reporting data on all leased equipment (Form 571-L, Part II, Equipment Out on Lease or Rent to Others) in electronic format. Please download the two (2) templates (Summary Leased Equipment Schedule & Leased Equipment Detail Report) and use the provided format to enter your data. Once both templates have been completed, please email both the Summary Leased Equipment Schedule, and the Leased Equipment Detailed Report, as attachments to askle@sfgov.org. If you have any questions, please contact us at (415) 554-5531 or askle@sfgov.org. Failure to file the property statement will result in the Assessor’s Office estimating the value of your business property and adding a 10% penalty to the assessment (R&T Code, Sections 441, 463, and 501). I received a Business Property Statement (Form 571-L, 571-R, 571-STR), what’s this all about? The property statement is a means for you to declare all your taxable business property located within the City and County on the lien date, January 1, (the day that taxes became a lien on the property and/or its owners), and is used to assist the Assessor-Recorder in determining the value of taxable for assessment purposes. All machinery, office furniture and equipment, fixtures, construction in progress and leasehold improvement held or used in connection with a trade or business are taxable business property. I have a business in San Francisco but did not receive a Business Property Statement, what shall I do? You are not going to receive a hard copy of the Form 571-L Business Property Statement. Instead, you will receive one of the following documents: (1) Notice of Requirement to File Form 571-L Business Property Statement, (2) Notice to e-File, (3) Direct Bill Notice, and (4) Low Value Exemption Notice. The Notice that you received is in lieu of a hard copy of the statement. Account # and Online PIN # are printed on the Notice. Please use them to either 1) e-File Directly Online, or 2) Download, Print, Complete, Sign and Mail your Form 571-L. Each statement downloaded from our website is assigned with a barcode that is specific to each business which is used for receiving, processing, and valuation purposes. Who must file a Business Property Statement? c) If you have not filed a Form 571-L in past years because you were on Direct Billing (assessed based on existing information in our files), you will receive a notice to file Form 571-L this year because State Law requires a periodic update of Direct Bill accounts. Please file a Form 571-L to reaffirm your business’ assessed value has stayed the same, or to reflect changes that have taken place resulting in increases or decreases in value of your business property. Failure to file the Business Property Statement will result in the Assessor-Recorder’s Office estimating the value of your business property and adding a 10% penalty to the assessment (R&T Code, Sections 441, 463 and 501). Additionally, upon discovery, we are required by law to go back and impose the tax on your business, in arrears for 4 years, plus penalties and interests. What is the due date for filing the Business Property Statement? The due date for filing the Business Property Statement is April 1st (If this day falls on a Saturday or Sunday, property statement postmarked on the next business day will be considered timely filed). What is the last day to file the Business Property Statement without a penalty? The last day to file the Form 571-L Business Property Statement without a penalty is May 7th – postmarked (If this day falls on a Saturday or Sunday, property statement that is postmarked on the next business day will be considered timely filed). Pursuant to California Revenue and Taxation Code Sections 441 (b) & 463, if a business fails to file the Form 571-L Business Property Statement or it is filed late, a 10% penalty will be added to the assessment. I was not open for business on January 1; do I still have to complete the statement? Yes. A business does not have to be opened for its taxable personal property to be subject to assessment. For example, let’s presume that on the lien date, January 1st, a new pizza parlor is under construction and nearly ready for its grand opening. Even though the pizza parlor was not open for business on the lien date, taxable business personal property (such as furniture, ovens and supplies) was in the owner’s possession on the lien date and the Assessor is required to assess it. I went out of business prior to January 1; do I still have to complete the statement? Yes, you still need to file the Form 571-L. The form must still be signed and returned to the Assessor. Make a notation on the form that the business has closed and the closing date. If this is not done, the Assessor may not be aware of that fact, and may continue to assess the property despite its true circumstance. I went out of business after the lien date; do I still have to complete the statement and pay personal property taxes? Yes. The law specifies that all taxable personal property must be assessed as of a specific point in time, and that point is precisely at 12:01 a.m. January 1st (regardless of what transpires after that date). Even if closed shortly after the lien date (January 1st), a business must still file a Form 571-L Business Property Statement. My business has moved to a new location within San Francisco; do I still have to file the statement? If you have moved within the City and County of San Francisco, line through the old location on your Business Property Statement, including the mailing address, if applicable, and write your new address above the old one. My business has moved to a new location outside of San Francisco; do I still have to file the statement? If you moved out to another county before January 1st, make a notation on the statement that you have moved outside of the county. Mail the statement to the address indicated on the form and contact the new county to request a Business Property Statement. I closed or sold my business; do I still have to file the statement? Yes, indicate on the statement the status (closed or sold) of your business including the date the status change took place. Please indicate the disposition of the equipment, if closed, or the name of the buyer, if sold, then sign the front page and mail it to the Assessor’s Office. Can I get a copy of my prior year Form 571-L statement? Yes. Please send your written request, on company’s letterhead with an authorized signature. Include the Account number, ownership name, DBA, mailing address, and location of the property. Specify the year you are requesting, and mail it to the Business Personal Property Division, 1155 Market Street, 5th Floor, San Francisco, CA 94103, or fax to (415) 554-5544, or e-mail as an attachment to askbpp@sfgov.org. If you are an agent of a taxpayer, an authorization letter from the business owner is required. I do not own anything and lease all my equipment; do I still have to file the statement? Yes. You are required to report this information in Part III of the statement so that the Assessor can properly locate and assess the actual owner of the equipment. However, if you own any small equipment, such as printer, copier, supplies, etc., which you are using in the business you need to report these costs under Part II of the statement. Who can sign the statement? The owner or an authorized agent can sign the statement. When signed by an agent or employee other than a member of the bar, a certified public accountant, enrolled agent or a duly appointed fiduciary, the assessee’s written authorization of the agent or employee to sign must be filed with the Assessor. The signature on the authorization must be an original, not a fax copy. In the case of a corporate assessee, the statement must be signed by an officer or by an employee or agent whom the board of directors has designated in writing. A property statement that is not duly signed in accordance with the foregoing instructions does not constitute a valid filing and may be subject to the 10% failure to file penalty. I have already completed and sent my Business Property Statement and now realized that I have to amend the statement. What should I do? You will have to resubmit or file a new statement with all the preprinted identification that was on the initial statement. Please indicate this is an “AMENDED COPY” to the statement that was submitted previously. You may call the Business Division at (415) 554-5531 and ask for another statement, if necessary. Statements that were initially filed on time may be amended without penalty until May 31st (R&T Code, Sec. 441 (i)). When you file your business property statement in a timely manner, you should receive your bill by the end of July. Payment is due on or before August 31st, and becomes delinquent after that date and will be subject to penalties and interest. If the business owner also owns the building in which the business resides, the business property tax will be included with the secured tax bill. The secured tax bill is sent by the end of October with the 1st installment due by November 1st. Although the assessment is the responsibility of the Assessor, the tax bills are the responsibility of the Tax Collector’s Office. The assessor can handle any questions related to how your tax bill was determined. Questions related to billing and payment of bills should be directed to the Tax Collector’s Office. The Tax Collector’s phone number is 415-554-4400 and the website is www.sftreasurer.org..